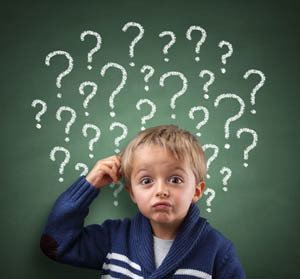 A 2016 study in the Journal of the American Academy of Child and Adolescent Psychiatry found that preschool-aged boys with autism have weaker functional connectivity of the amygdala than typically-developing children of the same age. 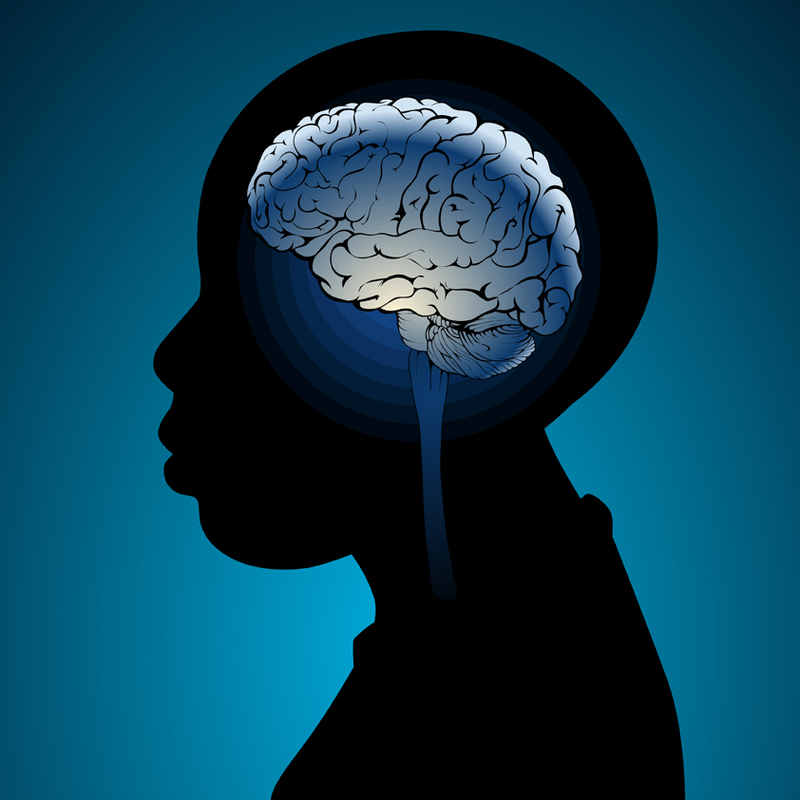 Researchers led by Mark D. Shen used resting-state functional connectivity magnetic resonance imaging (MRI) to measure how connected the amygdala was to other regions of the brain in 72 young boys (average age 3.5). The boys with autism had weaker connectivity between the amygdala and regions linked to social communication, language deficits, and repetitive behaviors. These areas include the medial prefrontal cortex (mPFC), bilateral temporal lobe, striatum, thalamus, cingulate cortex, and cerebellum. The weaker the connectivity between these regions, the more severe the boys’ autism symptoms were. They showed impairments in overall cognitive ability and both verbal and nonverbal ability. In new research presented at the 2016 meeting of the Society of Biological Psychiatry, researcher Tracy Barbour and colleagues revealed that youth with a family history of depression showed more amygdala activation in response to a threat than people without a family history of depression. This amygdala hyperactivity was linked to low resilience to stress and predicted worsening depressive symptoms over the following year. In the study, 72 non-depressed youth were shown images of cars or human faces or cars that seemed to loom in a threatening way. Brain scans showed increased amygdala activity in participants with a family history of depression compared to those without such a history. 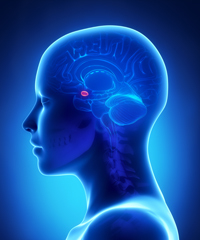 The amygdala is an almond-shaped part of the brain in the temporal lobe that has been linked to emotional reactions and memory, decision-making, and anxiety. The hormone oxytocin, best known for creating feelings of love and bonding, may help treat post-traumatic stress disorder, since it also reduces anxiety. A study by Saskia B.J. Koch and colleagues that will soon be published in the journal Neuropsychopharmacology reports that a single intranasal administration of oxytocin (at a dose of 40 IU) reduced anxiety and nervousness more than did placebo among police officers with PTSD. Oxytocin also improved abnormalities in connectivity of the amygdala. Male participants with PTSD showed reduced connectivity between the right centromedial amygdala and the left ventromedial prefrontal cortex compared to other male participants who had also experienced trauma but did not have PTSD. This deficit was corrected in the men with PTSD after they received a dose of oxytocin. 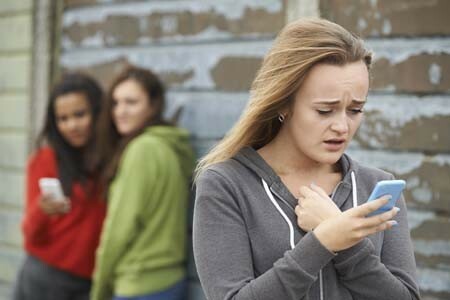 Female participants with PTSD showed greater connectivity between the right basolateral amygdala and the bilateral dorsal anterior cingulate cortex than female participants who had experienced trauma but did not have PTSD. This was also restored to normal following a dose of oxytocin. These findings suggest that oxytocin can not only reduce subjective feelings of anxiety in people with PTSD, but may also normalize the way fear is expressed in the amygdala. At the 2015 meeting of the International Society for Bipolar Disorders, Ben Goldstein described a study of cognitive dysfunction in pediatric bipolar disorder. 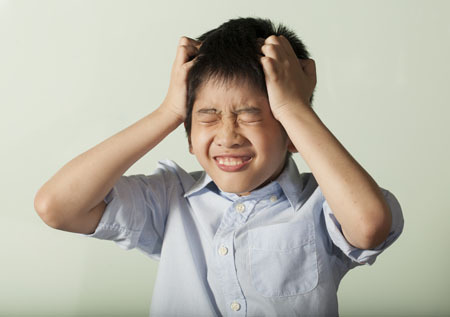 Children with bipolar disorder were three years behind in executive functioning (which covers abilities such as planning and problem-solving) and verbal memory. There were other abnormalities. Youth with bipolar disorder had smaller amygdalas, and those with larger amygdalas recovered better. Perception of facial emotion was another area of weakness for children (and adults) with bipolar disorder. Studies show increased activity of the amygdala during facial emotion recognition tasks. Goldstein reported that nine studies show that youth with bipolar disorder have reduced white matter integrity. This has also been observed in their relatives without bipolar disorder, suggesting that it is a sign of vulnerability to bipolar illness. This could identify children who could benefit from preemptive treatment because they are at high risk for developing bipolar disorder due to a family history of the illness. There are some indications of increased inflammation in pediatric bipolar disorder. CRP, a protein that is a marker of inflammation, is elevated to a level equivalent to those in kids with juvenile rheumatoid arthritis before treatment (about 3 mg/L). CRP levels may be able to predict onset of depression or mania in those with minor symptoms, and is also associated with depression duration and severity. Goldstein reported that TNF-alpha, another inflammatory marker, may be elevated in children with psychosis. Goldstein noted a study by Ghanshyam Pandey that showed that improvement in pediatric bipolar disorder was related to increases in BDNF, a protein that protects neurons. Cognitive flexibility interacted with CRP and BDNF—those with low BDNF had more cognitive impairment as their CRP increased than did those with high BDNF. N-acetylcysteine (NAC) is an anti-oxidant nutritional supplement that has been found to reduce a wide range of habitual behaviors, including drug and alcohol use, smoking, trichotillomania (compulsive hair-pulling), and gambling. It also improves depression, anxiety, and obsessive behaviors in adults, as well as irritability and repeated movements in children with autism. A new study suggests NAC may also be able to reduce non-suicidal self-injury, often thought of as “cutting,” in girls aged 13–21. The open study, presented in a poster by researcher Kathryn Cullen at the 2015 meeting of the Society for Biological Psychiatry, compared magnetic resonance imaging (MRI) scans of 15 healthy adolescent girls to scans of 22 girls who had been engaging in self-injury, both before and after this latter group received eight weeks of treatment with N-acetylcysteine. Doses were 1200 mg/day for the first two weeks, 2400mg/day for the next two weeks, and 3600mg/day for the final four weeks. The girls also reported their self-injury behaviors. Treatment with NAC reduced the girls’ self-injury behaviors. The brain scans showed that NAC also increased resting-state functional connectivity between the amygdala and the insula. Connectivity in this region helps people regulate their emotional responses. 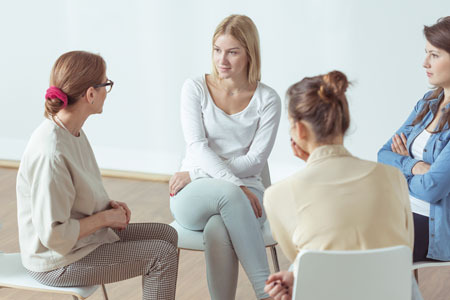 At baseline, the girls who engaged in self-harm had had deficient connectivity between the amygdala, the prefrontal cortex, insula, and the posterior cingulate cortices compared to the healthy girls, and this improved with the NAC treatment. People and animals can rapidly learn to associate environmental stimuli with positive or negative outcomes, learning what to approach or avoid as they go through daily life. The amygdala plays a role in this type of emotional learning, which can be disrupted by mood disorders. In new research, Praneeth Namburi and colleagues determined that activity at the synapses in the basolateral amygdala reveals differences in the creation of fear memories and reward memories. In animals trained with reward and fear conditioning tasks, photostimulation of neurons that then travel from the basolateral amygdala complex to the nucleus accumbens (the brain’s reward center) is positively reinforcing, while photostimulation of neurons that will travel from the basolateral amygdala complex to the centromedial nucleus of the amygdala causes aversion. There are genetic differences between the two types of neurons, including a difference in the gene for the neurotensin-1 receptor. The researchers found that neurotensin, a neuropeptide, modulates glutamate’s effect on neurons, causing some to project to the nucleus accumbens and some to project to the centromedial nucleus of the amygdala. Editor’s Note: The amygdala’s creation of opposing outputs may provide clues to the mechanisms behind mania (involving the nucleus accumbens) and depression (involving the centromedial nucleus of the amygdala). Regulation of the amygdala (the brain’s emotional center), particularly through its interaction with the ventral anterior cingulate cortex, has been implicated in the experience of fear in animals, and anxiety and depression in humans. Connectivity between the two structures is critical for emotion modulation. Repeated transcranial magnetic stimulation (rTMS) is a method of stimulating outer regions of the brain with magnets. Researchers Desmond Oathes and Amit Etkin are investigating whether rTMS can also be used to influence these deeper brain areas, or their interaction with each other. The researchers’ study used single-pulse probe TMS delivered at a rate of 0.4 Hz at 120% of each participant’s motor threshold, targeted at the anterior or posterior medial frontal gyrus on either side of the brain. The researchers also used functional magnetic resonance imaging (fMRI) of the whole brain to observe connectivity between different sections. RTMS to the right side of the medial frontal gyrus increased connectivity between the amygdala and the ventral anterior cingulate cortex more than stimulation to the left side. Stimulation of the posterior portion of the medial frontal gyrus increased connectivity more than stimulation of the anterior portion. Editor’s Note: These data indicate that rTMS can alter brain activity in these deeper regions and can influence inter-regional connectivity. This is important because abnormalities in the connectivity of brain regions have increasingly been found in patients with mood disorders. Oathes and Etkin hope that these findings can be applied to others and that rTMS can be used to correct patterns of regional connectivity in the brain in order to improve emotion regulation. Researchers have identified neurons responsible for remembering conditioned fear in the amygdala of rodents, and can turn them on and off. At the 2013 meeting of the Society of Biological Psychiatry, Sheena A. Josselyn gave a breath-taking presentation on this process. When animals hear a tone they have learned to associate with the imminent delivery of a shock in a given environment, they learn to avoid that environment, and they reveal their learning of the tone-shock association by freezing in place. Josselyn was able to observe that 20% of the neurons in the lateral nucleus of the amygdala were involved in this memory trace. They were revealed by their ability to increase the transcription factor CREB, which is a marker of cell activation. 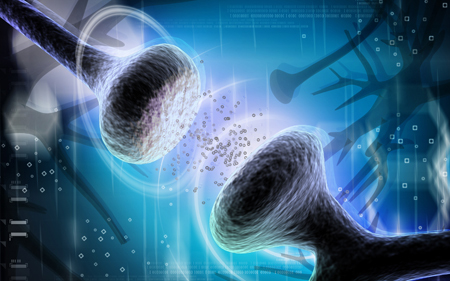 Using cutting-edge molecular genetic techniques, the researchers could selectively eliminate only these CREB-expressing neurons (using a new technology in which a diphtheria toxin is attached to designer receptors exclusively activated by designer drugs, or DREADDs) and consequently erase the fear memory. The researchers could also temporarily inhibit the memory, by de-activating the memory trace cells, or induce the memory, so that the animal would freeze in a new context. Josselyn and colleagues were able to identify the memory trace for two different tones in two different populations of amygdala neurons. The same molecular tricks with memory also worked with cocaine cues, using what is known as a conditioned place preference test. 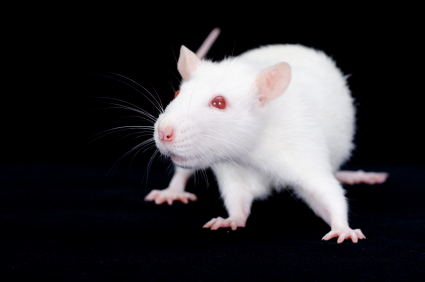 A rodent will show a preference for an environment where it received cocaine. Knocking out the selected neurons would remove the memory of the cocaine experience, erasing the place preference. The memory for cocaine involved a subset of amygdala neurons that were also involved in the conditioned fear memory trace. Incidentally, Josselyn and her group were eventually able to show that amygdala neurons were in competition with each other as to whether they would be involved in the memory trace for conditioned fear or for the conditioned cocaine place preference. In a 2013 study of children by Luby et al. in the Journal of the American Medical Association Pediatrics, poverty in early childhood was associated with smaller white and gray matter in the cortex and with smaller volume of the amygdala and hippocampus when the children reached school age. The effects of poverty on hippocampal volume were mediated by whether the children experienced stressful life events and whether a caregiver was supportive or hostile. The children were recruited from primary care and day care settings between the ages of three and six, and were studied for five to ten years. They were initially assessed annually for three to six years and information on psychosocial, behavioral, and developmental dimensions were collected. Then the children took part in a magnetic resonance imaging (MRI) scan and continued annual assessments that included information such as whether the children experienced stressful life events. Previous research has shown that poverty affects children’s psychosocial development and economic success in adulthood. This research shows that poverty also affects brain development. The findings suggest important targets for intervention that could help prevent these developmental deficits.